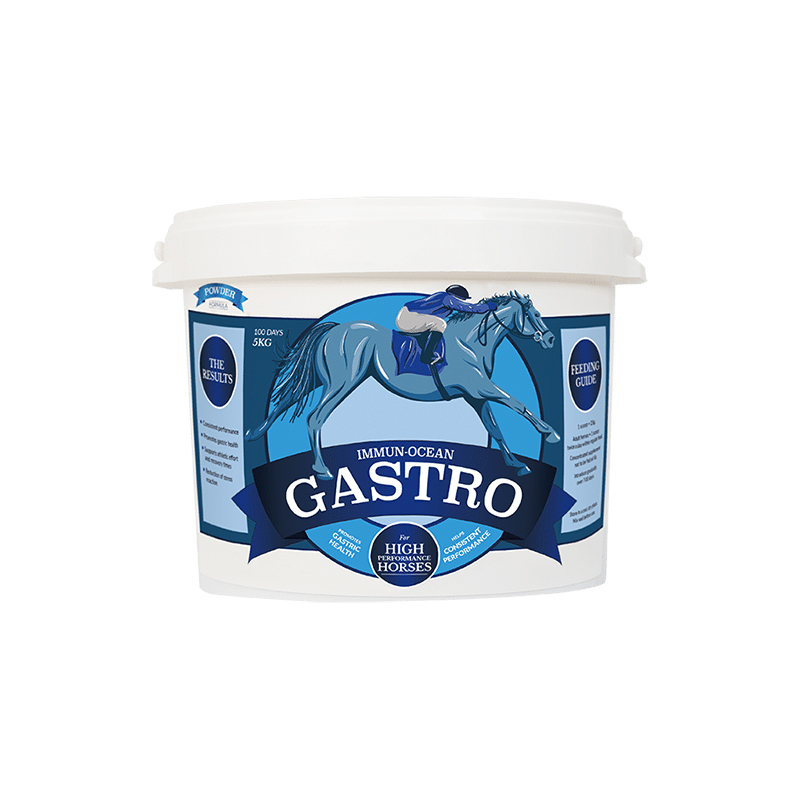 Gastro is a natural feed supplement, comprising of Ascophyllum nodosum and Lithothamnium, which is specifically formulated for horses with gastric issues. It provides a balance of vitamins and minerals and uses a natural approach to support efficient digestion, providing gastric and hindgut comfort. It is suitable for horses competing at all levels, as it contains no listed banned substances and the inclusion of Omega 3 fatty acids, MSM and magnesium makes Gastro the perfect choice for competition horses. Gastro contains soothing properties to help ease irritation and promote intestinal health, as well as a healthy balanced digestive system. Gastro encourages the growth of friendly bacteria for regular gut function and enables the horse to utilise all of the nutrients in their feed. It also contains Omega 3 fatty acids, MSM and optimum levels of magnesium, which can all have a positive impact on performance. Omega 3 fatty acids are known to potentially improve brain health and aid concentration levels, resulting in more consistent performances, and they have natural soothing properties, which can ease stiffness, enabling horses to move more freely. MSM, an organic sulphur, found naturally in abundance in Ascophyllum, also helps to maintain healthy and flexible joints, offering your horse both short and long term joint support, whilst magnesium helps with nerve and muscle function. This supplement is 100% natural and contains a balanced mix of minerals, vitamins, amino acids and antioxidants that help to promote a healthy immune system and aid the overall wellbeing of horses with gastrointestinal disease, such as gastric ulcers, including high level competition horses. Available in 1.5kg and 5kg tubs, as powder or pellets. Contains garlic for palatability.